The Alcatel is well known for its affordable smartphones that launches. The new series opens with Alcatel A3 XL, a 6intso phablet. 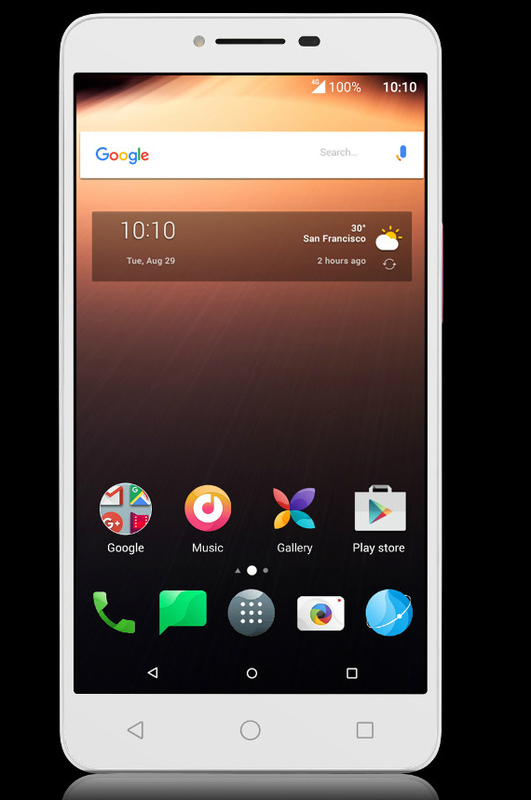 The Alcatel A3 XL incorporates screen 6 inches IPS LCD with a resolution of 720 × 1280 pixels and 5-point multi-touch. Time quad processor MediaTek MT8735B 1.1GHz, RAM 1GB RAM memory and built-in 8GB memory. The camera is 8 Megapixels with 720p 30fps video, the front camera 5 Megapixel, while the back is installed and the fingerprint sensor. Incorporates 3000mAh battery, running Android 7.0 Nougat and has dimensions of 165 × 82.5 × 7.9 mm. It has GPS, Bluetooth 4.2, OTG, G-sensor, Proximity, Light Sensor and Arkamys. The availability will begin in some areas in the first quarter and the second quarter of 2017 will come to Europe. Unfortunately we have no information about the price, but is expected to be quite economical.